In this second edition, SIMA and SIPSA are joined again to offer the widest portfolio of products for professionals in the livestock and agricultural sector. Thanks to its merge, this fair is considered the largest in the sector across the African continent. 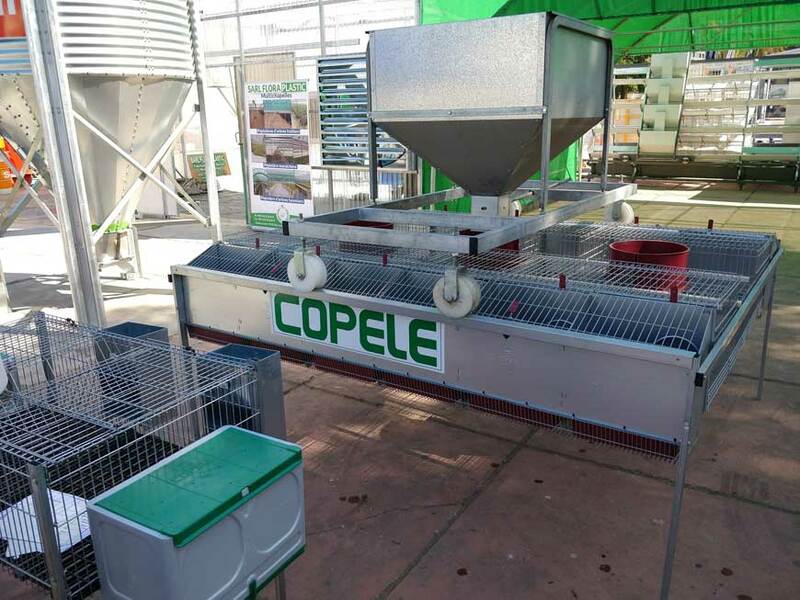 COPELE is consolidated as a leader in the sector making presence with its products and achieving great success capturing the attention among the visitors of the stand thanks to the support and the excellent attention of the local representative. The cages of industrial rabbit and the battery of laying nests for chickens have aroused great interest among those attending this fair that managed to bring together more than 18,000 professionals from more than 45 countries. This year Tunisia has been chosen as a guest country of honor due to its economic growth in the livestock sector and as a sign of the close relationship between Tunisia and Algeria, an organizing country.